As you can imagine, I see A LOT of different race costumes (and race signs for that matter). I am always impressed when something creative and new emerges. If you are a Walking Dead fan, you can appreciate this costume. The fact that the runners are in jeans just makes it all the better. Thanks, All, for hanging out with me this week. 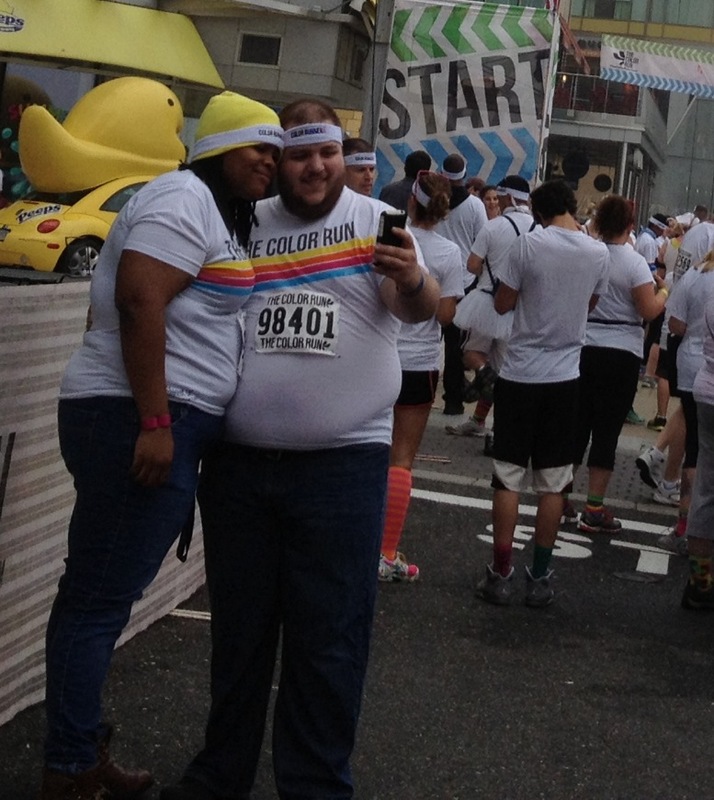 As always, send your Halloween race costumes pictures to JoggingJeans@gmail.com. 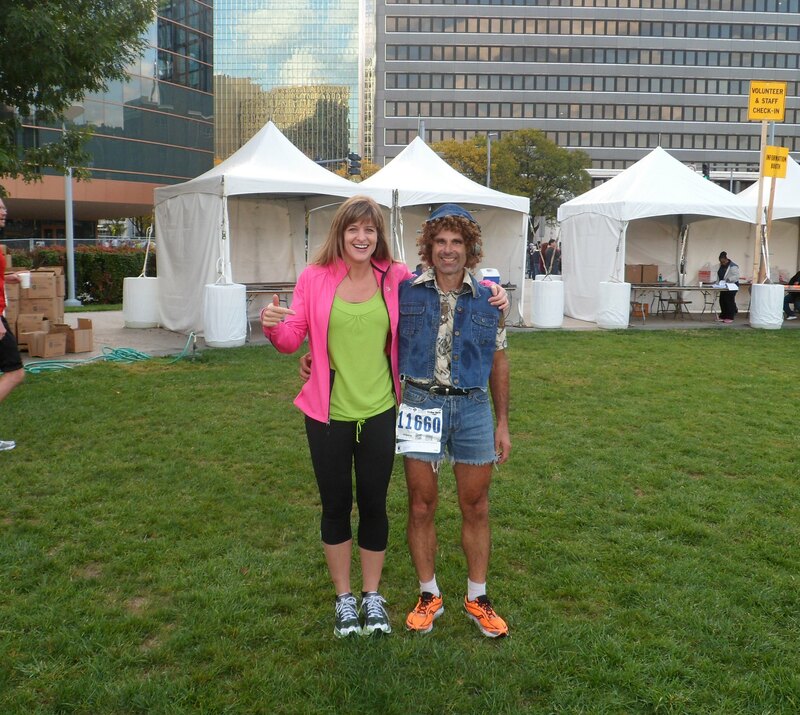 We continue with another picture for this week’s Running Costumes with Denim theme. You can find the whole series here. Okay, so not REAL denim, but I loved the costume idea! 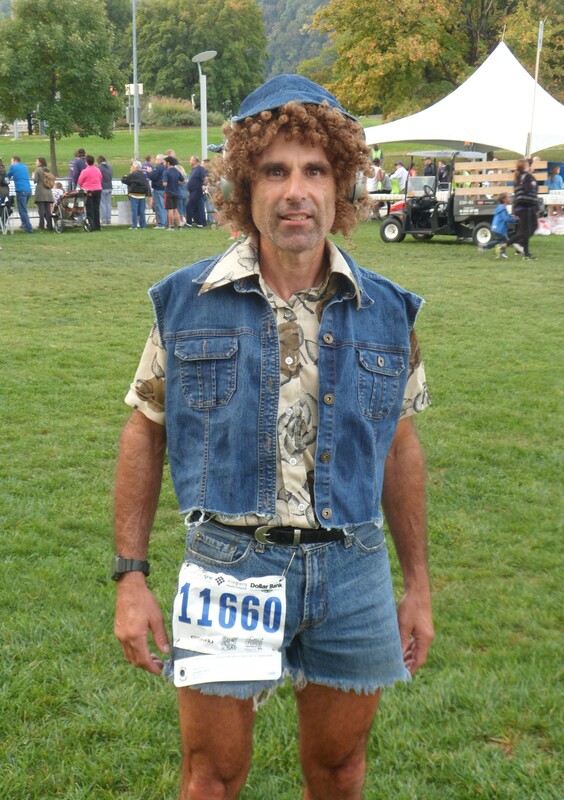 With Halloween just around the corner and Best Race Costumes exploding like it does every year at this time, I thought it was time for another installment of Running Costumes with Denim. 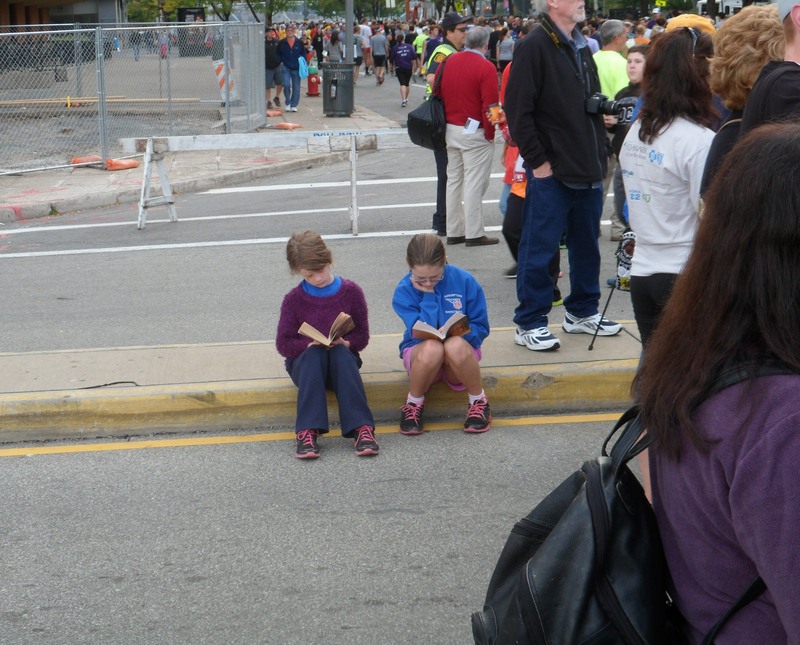 If you are looking for a denim-themed costume idea for your Halloween race, check out the past posts here. The Dukes of Hazzard one is my absolute favorite running costume ever. We start the week off with a runner dressed like Malcolm Young. Or is it just some dude running in an AC/DC tshirt and jorts? These photos were take before and after the Iowa Games sponsored Mud Run on June 15, 2013. Thanks, Marcus!! Tagged #TeamJorts, 2013, denim, Iowa Games, jean shorts, jeans, jog, jogging, jorts, mud, mud run, race, run, running, what to wear to a mud run? If a picture captures a man and woman running together in denim, it automatically wins the JoggingJeans.com “Cutest Couple” award. The first pictures we have seen were both related to my new friends, Tracey and Andrew. What is it about this picture that warms my heart? Your “Cutest Couple” award is in the mail. Keep on doing what you do.